"You miss more by not looking than by not knowing..."
Pre-anesthetic lab work is a screening blood test done shortly before anesthesia and surgery. The goal is to identify problems that were not apparent in the physical exam. In recent years, in human medicine, they have found that a good history combined with access to medical records, a good patient interview, and a good physical exam make it less important to do lab testing. In veterinary medicine, we very seldom get a good history. Our patients can’t talk. As for access to medical records, often the day of surgery is the first time our patients have ever been to the Doctor’s. There are no records. Patient interview? “So, Rover, what exactly do you mean by ‘woof’?” For these reasons, pre-anesthetic lab work is much more important in Veterinary medicine than it is for humans. It gives us a way to know things we can’t know any other way. 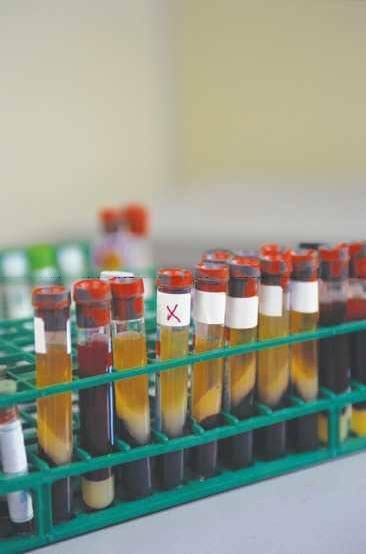 National research conducted on pre-anesthetic blood testing suggests that 9% of all dog and cat patients display abnormal test values such that the veterinarian changed the anesthetic plan for the safety of the patient. 3% of all patients display abnormal test values such that the veterinarian chose to postpone the scheduled anesthetic procedure. This sample population contained individuals of all ages, so in the subset of young puppies and kittens presented for spay or neuter surgery the numbers are likely lower. My own personal estimate is that 1 or 2 in 100 tests result in the postponement of an elective procedure in that age group, and maybe 5% resulted in a change of anesthetic plans. It depends on your own personal risk tolerance. At Sunnyside Veterinary Clinic, we believe in pre-anesthetic testing enough that we offer it at a greatly reduced price. Our pre-anesthetic panel includes things like kidney function and liver function, but we only charge $37 for it. Click here to go on to Laser Surgery.